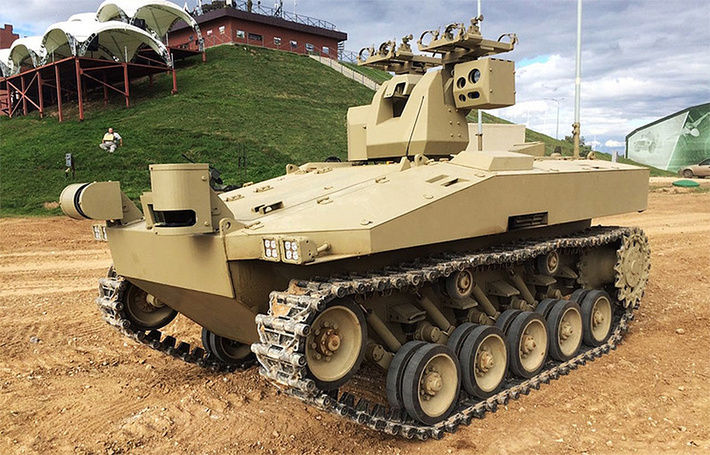 By the end of 2016, Russian army is going to receive 20 Uran-9 military robots. "By the end of the year, army will receive 5 sets of Uran-9. Every set include 4 robots, which can be either reconnaissance robots or combat support robots. Also, each sets include 1 command and control unit as well as two trucks." Uran-9, I'm guessing the serial model. 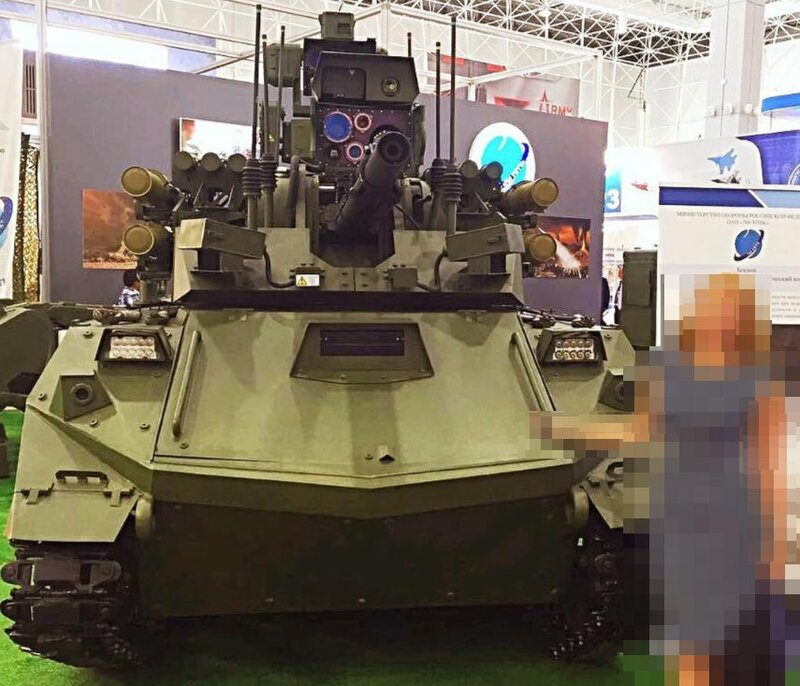 Anyways, regarding the new BMP-3 based UCGV. There's an unseen turret, 23mm, in both single and twin barrel configurations out there. 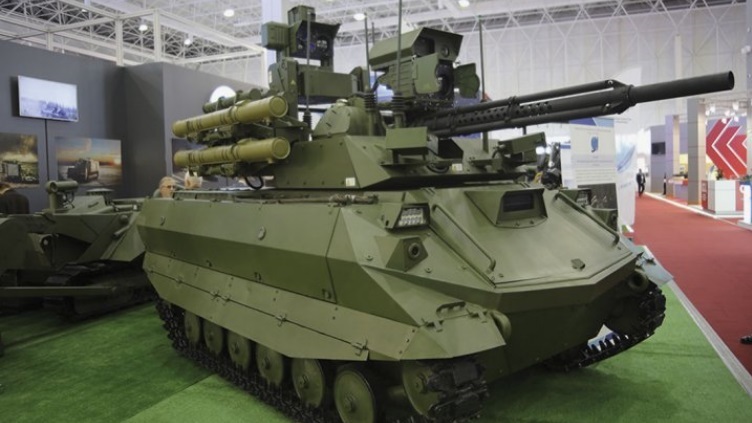 "The 2A72 main gun of the Vikhr robotic system can be replaced by single or twin-barrel 23 mm 2A14 anti-aircraft cannon, 12.7 mm NSVT or Kord heavy machine guns, or a 30 mm GSh-6-30K six-barrel naval automatic cannon. 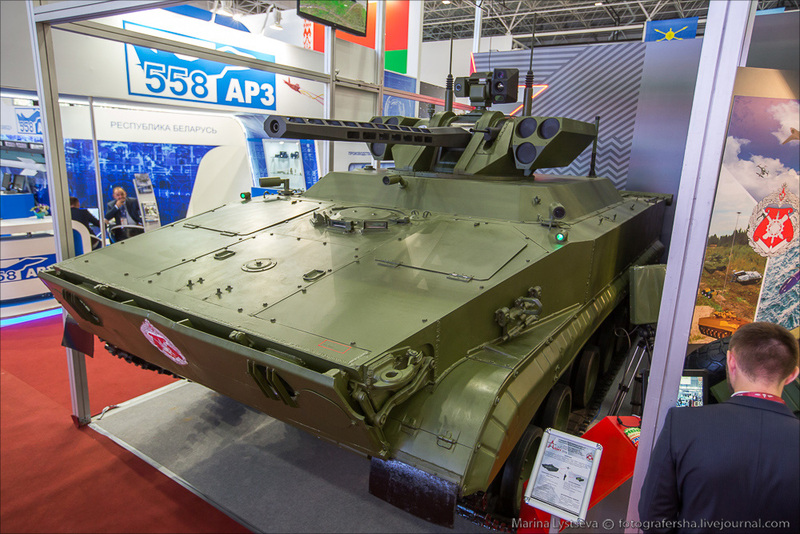 The vehicle can use surface-to-air missiles of Igla [SA-18 Grouse] or 9K333 Verba man-portable air defence systems, as well as Shmel-M reactive flamethrowers. We can also integrate foreign artillery systems with the Vikhr vehicle," the source said. VIKHR robot complex is operated by two people (Commander and Operator) who have at their disposition 4 x quadcopter drones. The Vikhr is armed with a 30mm automatic cannon 2A72 (500 shells), a coaxial 7.62mm machinegun (2,000 rounds) and six anti-tank guided missiles Kornet-M (three on each side of the turret), touted as the best in the world in their class. 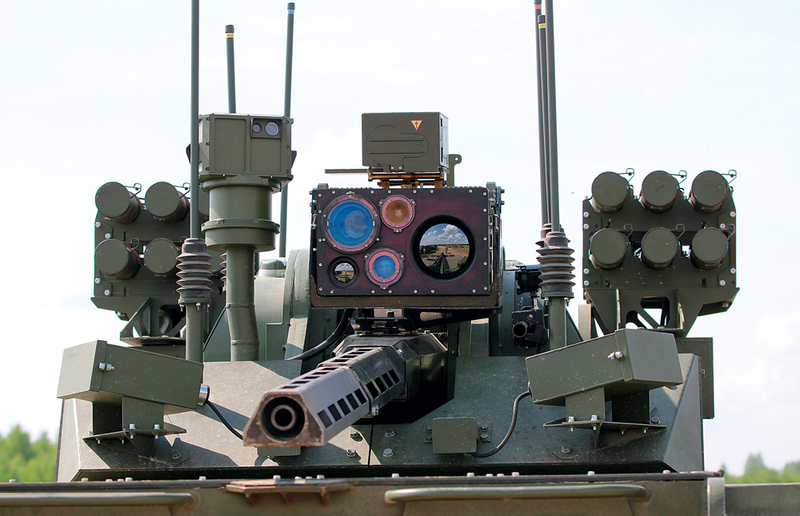 The vehicle can automatically detect targets and prepare to attack them. 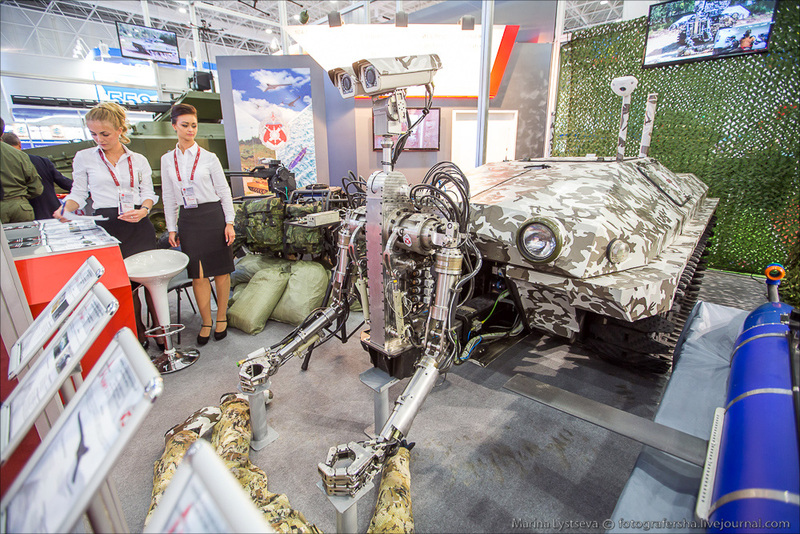 “Depending on the target, the Vikhr robotic system chooses an appropriate weapon and offers it to the operator. For example, if the robot locks on a helicopter, it may select a surface-to-air missile. But the operator can select another option, and it is the operator who makes the final decision,” Bogdanov explained to Sputnik. The Vikhr complex also includes four quadrocopters, a mobile robotic platform for special tasks and a control system. A crew of two, a commander and an operator, operate the whole complex. “The fire control system has an electro-optic aiming set including a high-resolution camera, an infrared sensor, and a laser ranger which determines the distance to a target. It is also equipped with a weather station which automatically registers and takes into account such parameters as wind speed, humidity, temperature, pressure,” the specialist elaborated. 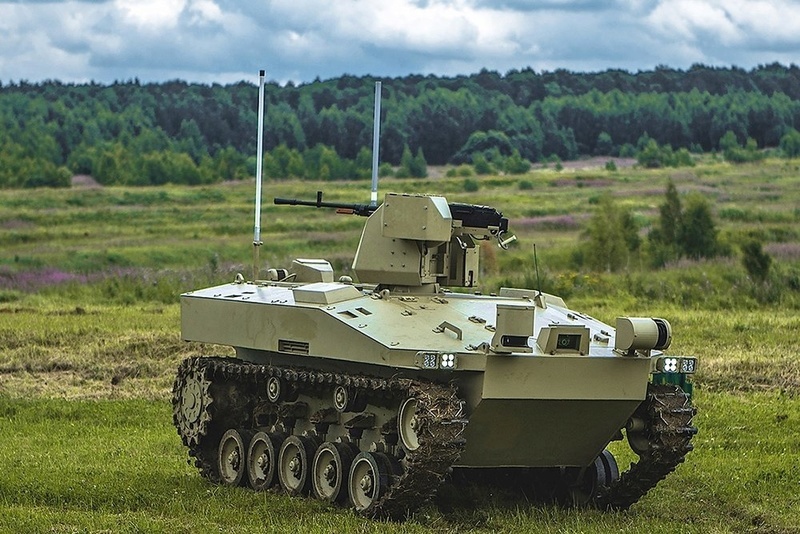 On Saturday, RIA Novosti reported that the Russian Defense Ministry expressed interest in the robot. So they can pretty much mount any weapon they want on the platform. I suspect the 23mm cannon would appeal to smaller countries that still use that weapon and calibre widely, but the 2A14 is basically the ZU-23 and fires the powerful 23 x 152mm shells. 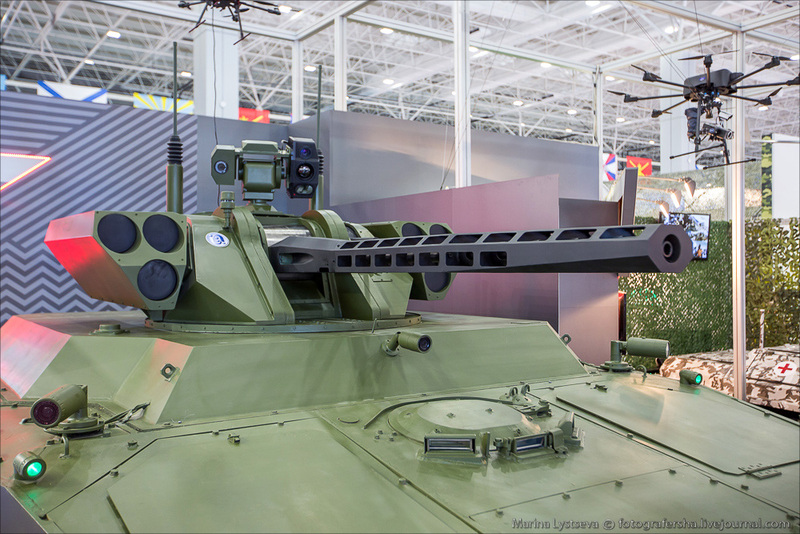 I would think for increased ammo capacity while retaining significant HE firepower that the 23 x 115mm might be considered... either in a single barrel model based on the KPV HMG, or the twin barrel weapons used in aircraft. I would think 30mm and 40mm and 57mm grenade launchers and even 82mm gun/mortars would be interesting options too. Considering the power of the 57mm grenade launcher adapting the platform to an 82mm Vasilek type mortar would not be needed. That thing houses 4 quadrocopters? The crew might have an armoured vehicle to operate from and that vehicle might carry the quad copters. 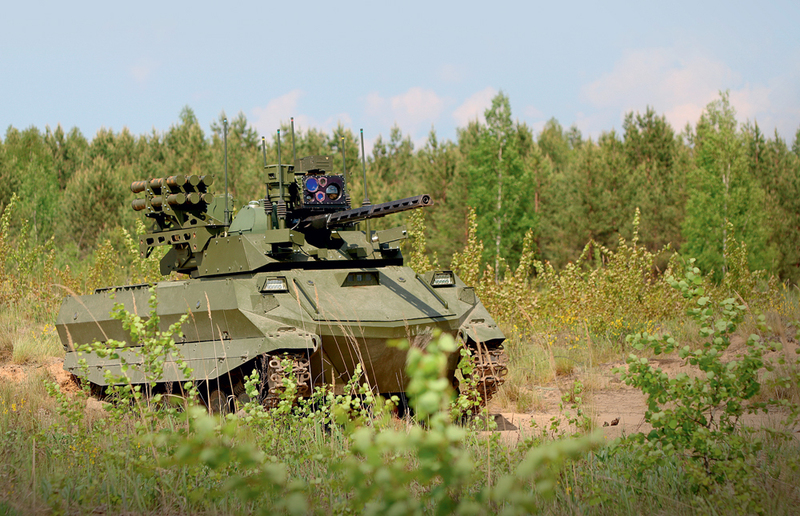 The vehicle the crew control this robot from could be a transport like a BTR-82 or Boomerang AFV. Whats that vehicle in the background?